ISLAMABAD, July 28 (APP): Pakistan on Thursday said while respecting the judicial system of Indonesia, it hopes that the clemency appeal filed by Zulfiqar Ali – a Pakistani citizen facing prosecution in Indonesia – will be considered favorably by the Government of Indonesia on humanitarian grounds. “The Government of Pakistan has been taking up the issue with the Indonesian Government at various levels, through both political and diplomatic channels, ever since his arrest in 2004. “The matter was taken up at the level of the Heads of State in 2007. 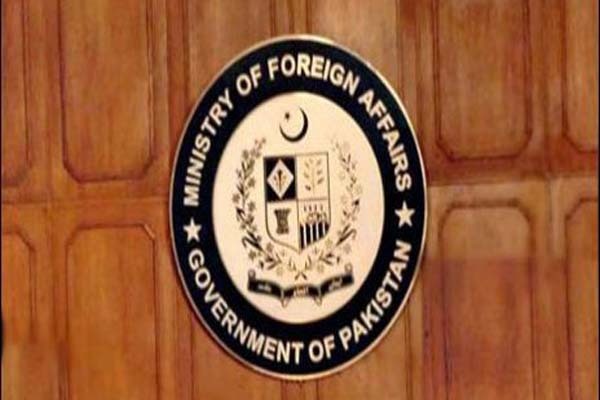 The Indonesian side has been repeatedly urged to review the case of Zulfiqar Ali,” foreign office said in a statement issued here. Most recently, the statement said, the Adviser to the Prime Minister on Foreign Affairs raised the matter with the Indonesian Ambassador. This was followed up by the Additional Secretary (Asia-Pacific) with the Indonesian Ambassador. In parallel with efforts in Islamabad, the Pakistan Embassy in Jakarta was directed to take up the case of Zulfiqar Ali with the Indonesian authorities at all levels and with all concerned institutions. The Embassy has maintained contact with Zulfiqar Ali through consular access, and has been in regular touch with his family, his lawyer and others concerned. It also hired a lawyer to pursue his case in Court, the statement added. According to the statement, Syed Zulfiqar Ali, a Pakistani national, was arrested on drug trafficking charges from Bogor, Indonesia, in November 2004. The District Court awarded him death sentence in 2005. The higher court upheld the decision of the district court in 2006. The charges were framed against Zulfiqar Ali on the basis of a statement given by a single witness, who was himself sentenced to death. Zulfiqar Ali’s two appeals for judicial review, first in 2008 and again in 2013, were turned down. The last legal course available is seeking clemency which he has now applied for, the statement added.